There are many who live now that did not live during the Cold War and how close we came to war with the Russians over the Cuban Missile Chrisis. For those that remember please excuse my brief synopsis for others. When Russia put Sputnik satellite into space in the early 1960's there was a world power shift that allowed the Russians to deliver a nuclear attack via rocket, where before this could only be done with dropping a nuclear bomb from an airplane. When Russia took and put these nuclear missiles in Cuba, we had the crisis that was a standoff that resulted in Russia removing the missiles. The United States went with a strategy of mutual distruction, where if the Russians were to attack the US with nuclear missiles we would ensure a nuclear response that would distroy their country too. Even though the US may not survive we would assure they wouldn't either. We are not talking of the type of bombs that we dropped on Japan to bring a quicker end to WW II. These new bombs were 100 times more powerful as they were Hydrogen Bombs. These bombs would totally distroy 1000 square miles. The US built 8 sites around Tuscon, 8 more sites in Arkansas, and 8 sites in Kansas. They were called ICBM's for intercontinental ballistic missiles. Under a treaty with Russia all sites were taken off line and missiles removed and warheads rendered safe & the Russians did the same. 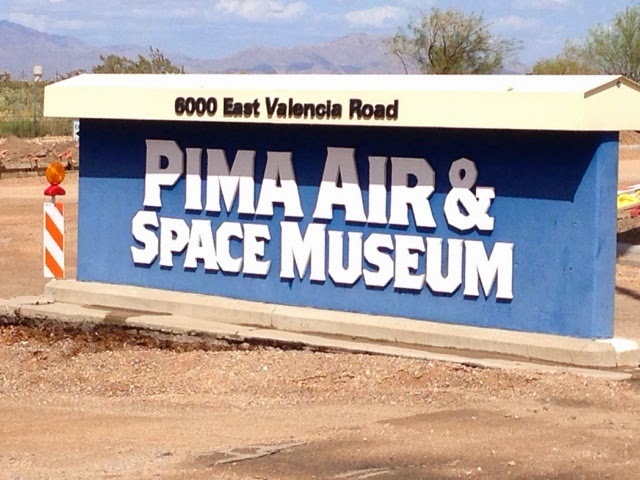 One site south of Tucson became a museum with a training missile for show, but they had to leave the hatch open with plexiglass for the Russians to see that it was no longer an avtive site via their satellite. So, this is the site I toured today. They never hid these sites as the goal of the mutual distruction theory was the other side needed to know we meant business. 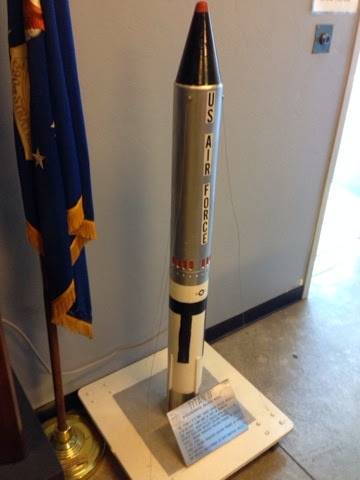 Model of Titan II missile. 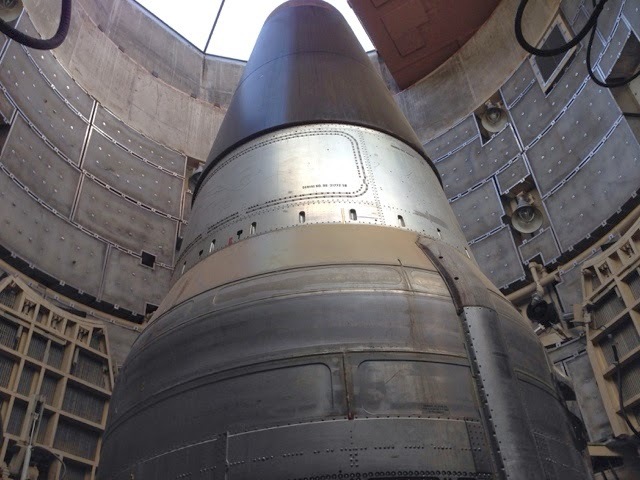 I will not get into the missile technology and the missiles before the Titan II. The tour starts with a movie on the background and history I have tried to cover above. 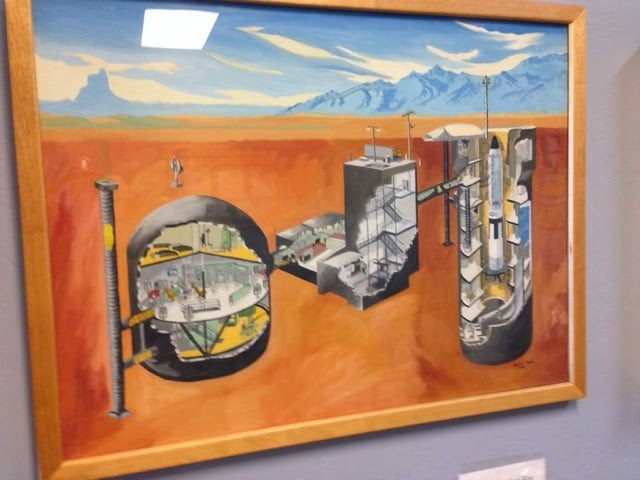 This is a picture of how the underground facility was designed. 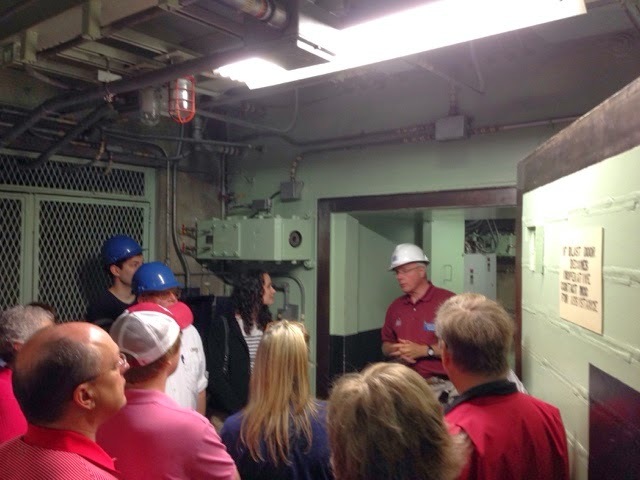 Our tour took us down into the control room for the site. 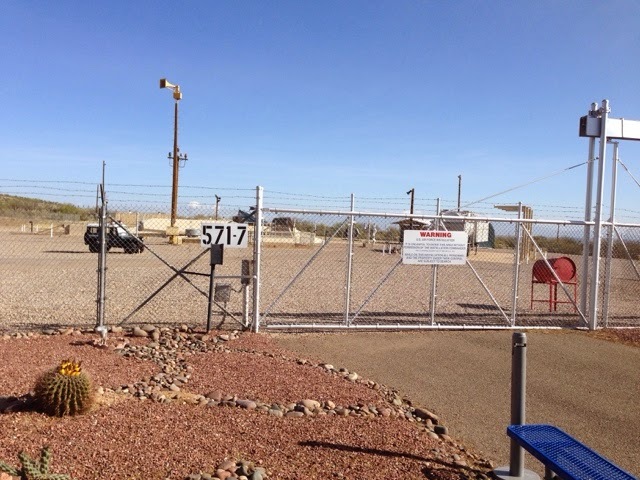 This is a picture of one of the steel doors that secured the site and protected the solders inside to give then time to send out their missile in less than 1 minute. 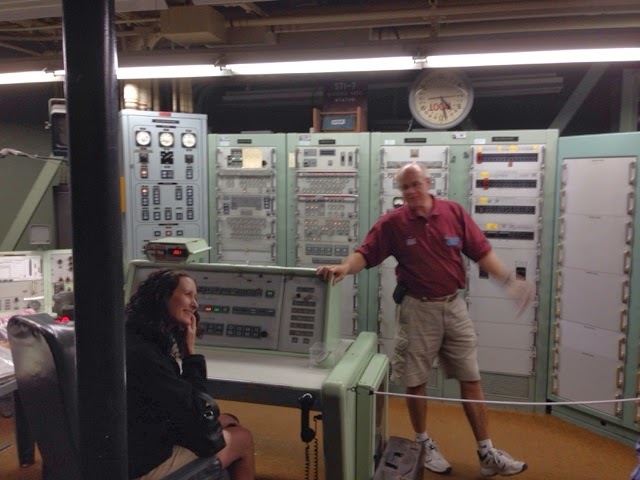 Here we are in the control room and our guide Tom who used to work in a missile silo took us through the sequence on turning the key to launch the missile. One woman I out tour got to turn the key. Looking into the missile silo you can see the missile. After coming out we looked down the silo at the missile. I am sure glad I was recommended to go to this historical museum site. If you get to the Tucson area make this a stop. What made this tour special was that our tour guide Tom had a great personality but also worked I'm one of these. He is now a volunteer for the museum to give tours. 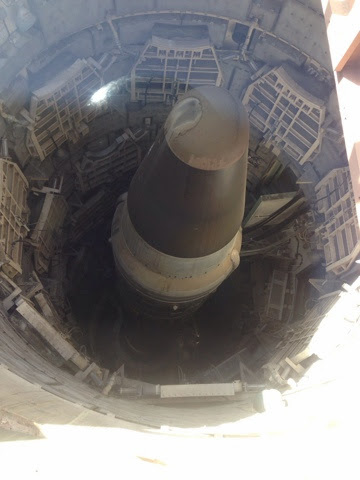 I crowded my day with another landmark museum in Tuscom after getting an early start at the Titan Missile Museum. 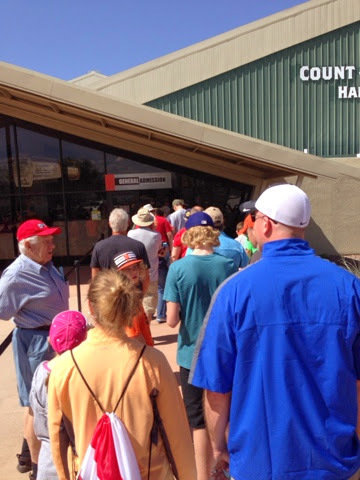 When I arrived before noon there was a long line of visitors looking to pay to get in. I was told to include the optional tour to the "Boneyard". 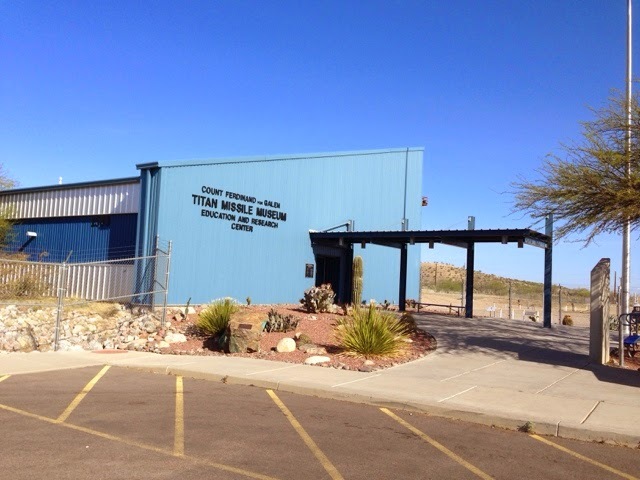 This is at the adjacent Davis-Montham Air Force Base. 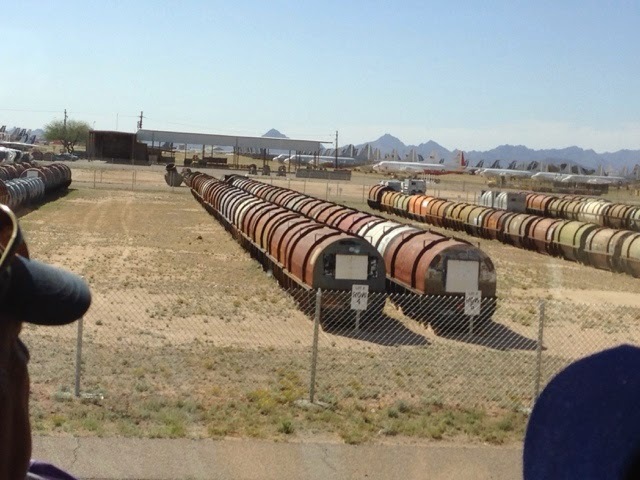 This is an area where older airplanes are stored (more on this below). 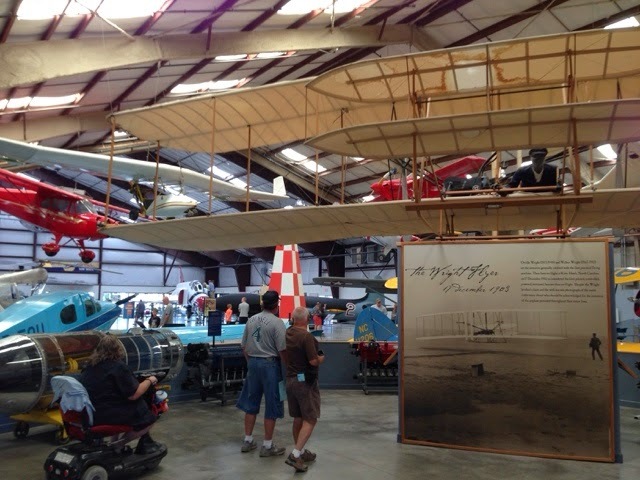 With well over 200 airplanes on exhibit, 3 Hangers, a Space Gallery, a Memorial Museum, and acres of outdoor parked aircraft. There are hours of things to see and do here. This is a professional museum with everything well displayed and marked with volunteers that work throughout each building. 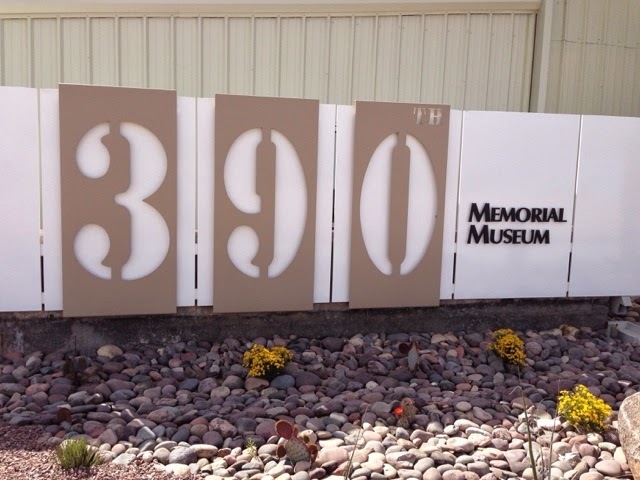 The 390 Memorial Museum was special to me in that I lucked out meeting Colonel Richard B. Bushong USAF, Retired as he volunteers on Thursday. 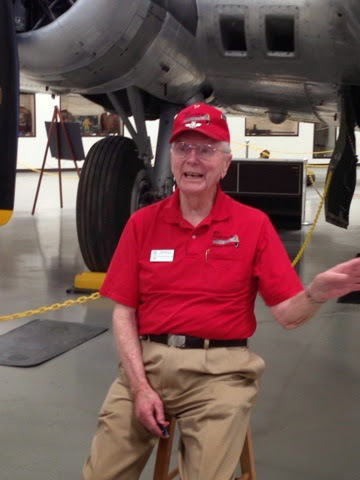 Colonel Bushong is a 91 years old WW II Veteran where he was a pilot on the B-17 bomber. His career kept him in the Air Force into Vietnam where he flew F-4 fighter jet. 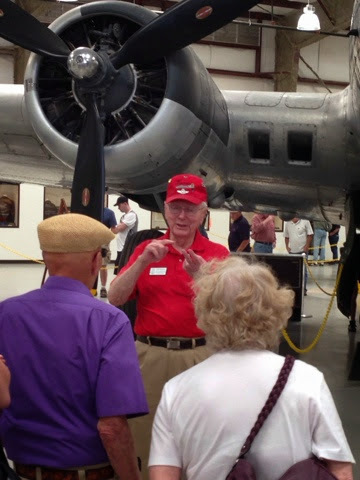 Colonel Bushong sat in front of a B-17 giving his talk. 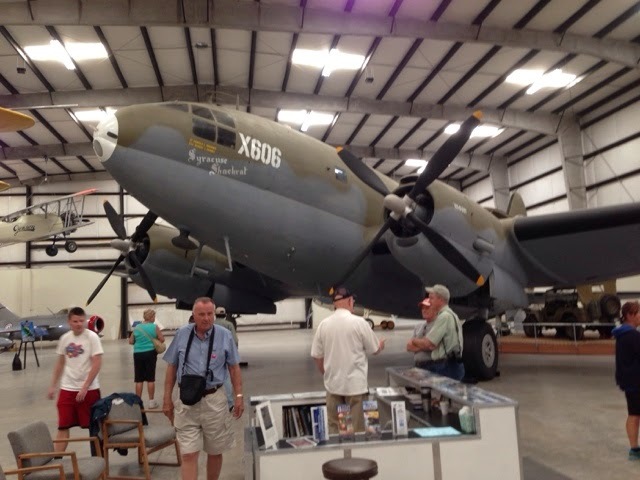 He captured the audience with real stories of his service during WW II. 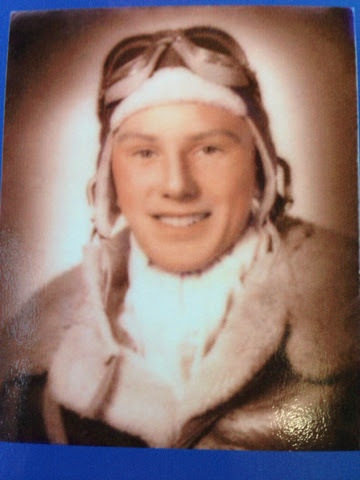 He was 19 years old when he enlisted and took his pilot training. He was 20 when he had his first mission flying over occupied Europe from England. Originall he flew as a co-pilot but due to losses of aircraft and men he became a pilot. He was injured and in the hospital when his crew was shot down and lost. He told me he survived because he was lucky. The numbers were staggering. About 4200 B-17 were shot down. 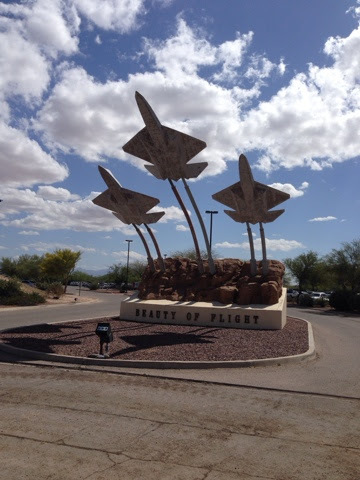 He says wing to wing this would cover the distance from Tuscon to Phoenix on I10. The losses of crews (Airmen) is also something that deserves note. B-17's had 10 member crews. 1/3 died, 1/3 were captured by being shot down. 1/3 survived and went home. Crews were told they only had to fly 25 missions, but he is quick to point out that it wasn't already true as he did 29. He explained all 10 jobs on the B-17. There was a chin gunner in the nose of the plane. This was also the bomber. The pilot & co-pilot on the upper level. Behind them was the navagators who also manned guns. Two side gunners who in early models did there jobs with side doors open. A lower ball turret gunner, a tale gunner, a overhead gunner and the radio operator. The pilots had heat from the engines but other crew did not. They were issued wire under suits and plugged in. As he explains the precursor to electric blankets. He said later models has plexiglass on the side gunners so it made their environment better. There were 3 missions where he lost the engine that heated the pilots cabin and it frosted over inside the windows. 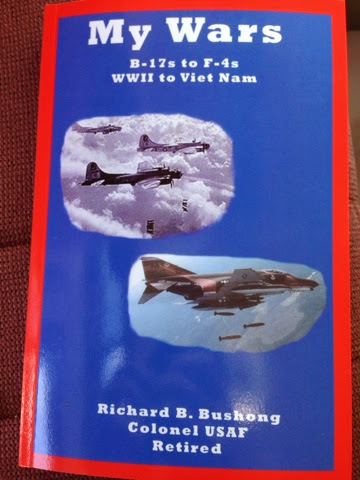 Colonel Bishon was so interesting to listen to when explained that the B-17 flew daytime precision bombing which made them vulnerable to being hit my air shelling blasting around them and fighter plane attacks. The Brittish bombed at night with B-29's that carpet bombed cities. He did say the German fighters soon learned to attack from the front at about 10:00 to 2:00 as they had so many guns and they were successful shooting them down. There was one fighter group the ran into used to come at them in a roll shooting all the time to make themselves a harder target to hit. 70 years ago today he flew a mission in a B-17. He has written 2 books and I bought this one. 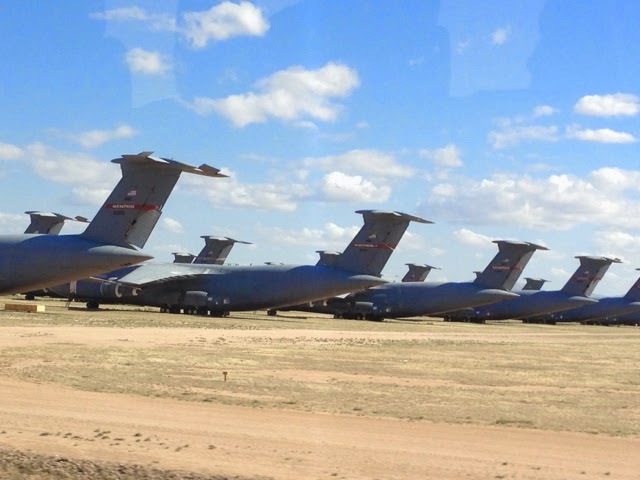 My bus tour of the Boneyard at the Air Force Base across the street was at 3:00, the last one of the day even though I arrived in the am. 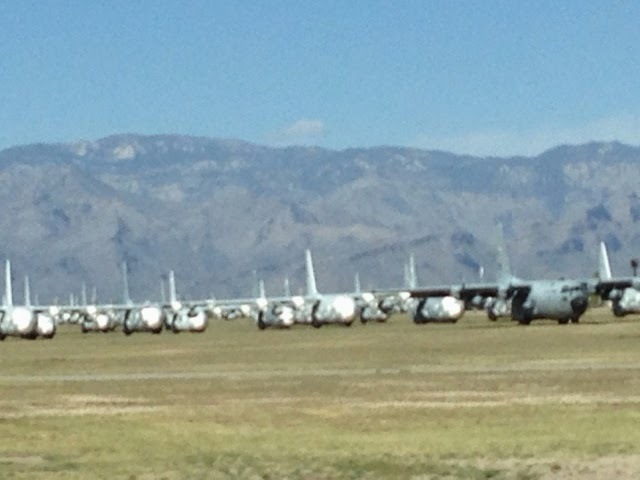 The Davis-Montham Air Force Base is charged with being a holding place for unused aircraft. The service that owns them decides their fate, but basically there are two general areas at the base. The first is where parts are scavenged to keep aircraft running. The second are aircraft that are mothballed for possible reuse, including selling to our allies. 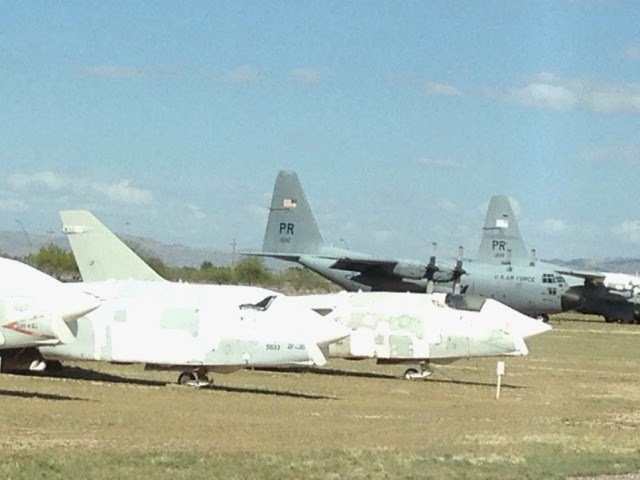 Of course it also means the scrap aircraft that have no future usage. There is also rendering bombers useless because of US / Rusdian agreements. They do it in the open so Russian satellites can watch and confirm what is being done. 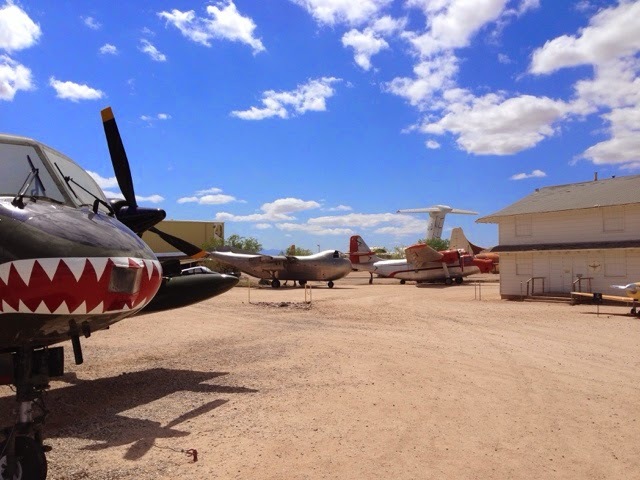 There are hundreds of aircraft of all different types and sizes. Engines stand ready for reuse. 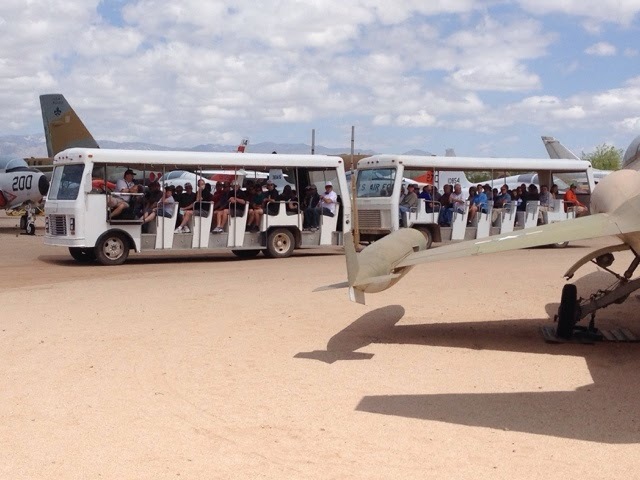 There are so many airplanes that this side tour was impressive.